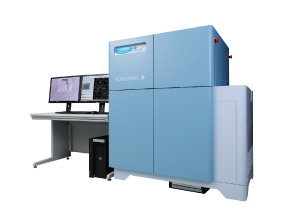 Confocal scanner unit CSU series enable 3D observation of the cells in detail and dynamics of organelles inside cells. Since the CSU series is capable of high-speed shooting, it is also suitable for observing high-speed life phenomena. 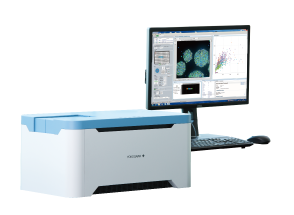 In addition, the CSU series is a multi-point confocal method which is extremely gentle to cells, best suitable for long-term live cell observation. CellVoyager and CQ1 that include CSU series enable various evaluation experiments using cultured cells automatically. CellVoyager and CQ 1 inherit the high-speed shooting function of the CSU series, and it is also suitable for evaluating high-speed phenomena. In addition, CellVoyager and CQ1 have an incubator (cell culture environment), which allows cell-friendly long-term live-cell observation culturing cells and time-series evaluation with cultured cells. Furthermore, by combining CellVoyager, CQ 1 with CellPathfinder which is image analysis software, it is possible to automatically extract feature amount from observed image. Especially by using machine learning function, image analysis can be performed with a simple and intuitive operation. Contributing to value chain of biology & pharmaceutical from basic research to pre-clinical research. The CSU-W1 is our answer to researchers’ requests for “Wider FOV” and “Clearer Images”.